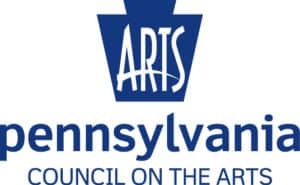 The Allentown Art Museum receives state arts funding support through a grant from the Pennsylvania Council on the Arts (PCA), a state agency funded by the Commonwealth of Pennsylvania and the National Endowment for the Arts (NEA), a federal agency. Since 2004 the Museum has partnered with the PCA on its Arts in Education (AIE) program, serving Carbon, Lehigh, Monroe, Northampton, and southeastern Pike counties. As an AIE partner the Museum administers artist residencies throughout the region, maintains a directory of teaching artists, provides professional-development opportunities for artists and teachers, and advocates on behalf of the AIE program. Students, parents, and teachers from across central and northeastern Pennsylvania have benefited from the AIE-sponsored series of artist residencies and the popular annual Poetry Out Loud recitation contest. Select a program below (photos under PCA logo) to learn more.